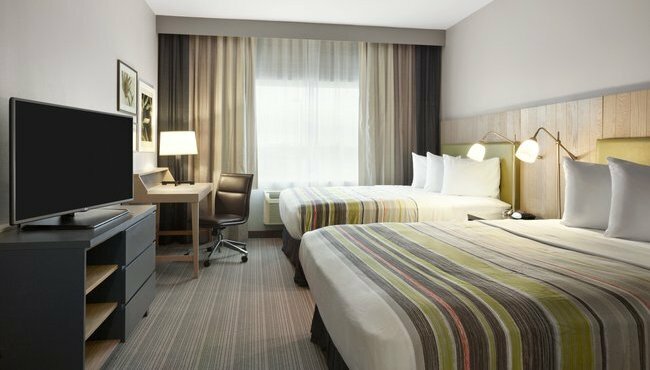 Every one of the 82 rooms at the Country Inn & Suites includes home comforts like a microwave and a refrigerator, so be sure to pack all your favorite snacks and beverages for your trip to Griffin. Make some popcorn for the kids and curl up on your comfortable bed for a family movie night, or leave the kids to the cartoons while you hop online using free high-speed Internet access. After a good night's sleep, wake up to your first cup of coffee made with your in-room coffeemaker before you head down to the complimentary, hot breakfast. We also offer connecting rooms upon request. Our Standard Room comes with either one king bed or two queen beds and is suitable whether you're alone on business or sharing travel expenses with a friend. Enjoy a little extra space in a Suite with your choice of either a king bed or two queen beds. Suites also include a sofa bed for additional sleeping space. 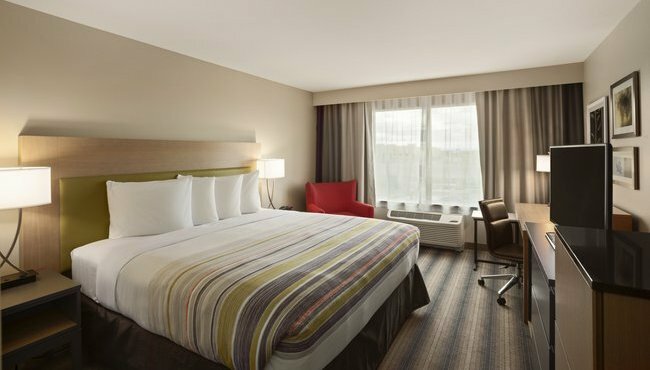 Upgrade your stay with a King Whirlpool Room featuring a king bed and a whirlpool tub. Looking for privacy when traveling with the kids? Book a Two-room Suite with a separate bedroom that includes a king bed. The living area features a wet bar and sofa bed.